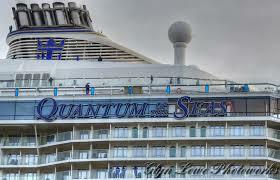 It is a great idea to book Royal Caribbean cruises, whenever you are planning a cruise ship vacation to the Caribbean. I will tell you why you should happily add Royal Caribbean at the top of your list, when considering a family cruise vacation. Many cruise lines are now building bigger ships, but none comes close to Royal Caribbean. Carnival Cruise Line is the most popular cruise line, but it has a handful of cruise ships that weigh over 100,000 tons. 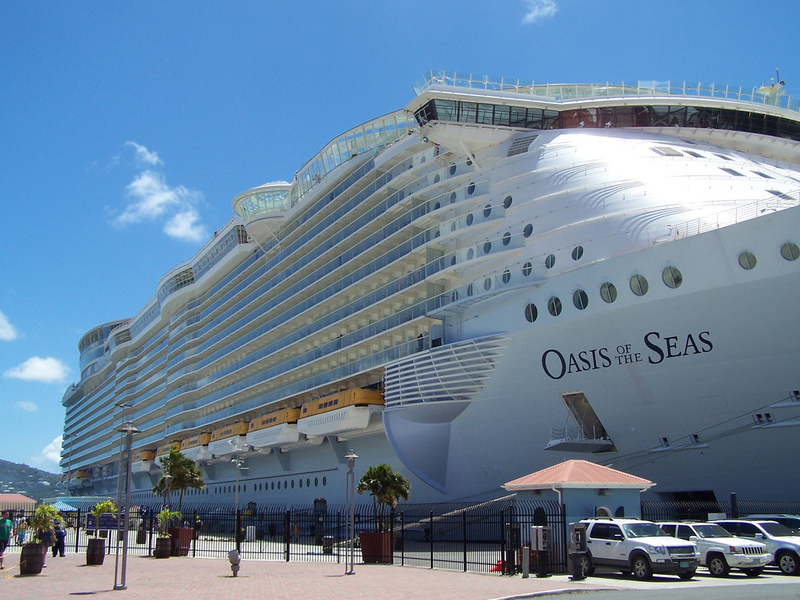 Royal Caribbean owns the world's largest cruise ships - Oasis of the Seas, Allure of the Seas and Harmony of the Seas. In addition, they own several other ships that are bigger than Carnival's biggest ships. Owning bigger ships makes it possible to add more innovative ideas onboard and you will find those on many Royal Caribbean ships. The company with the biggest cruise ships has now given us the first smart ships - Quantum of the Seas, (now also Anthem of the Seas and Ovation of the Seas). These ships are simply amazing! The North Star - an arm that extends above the ship and over the sea to give a better view. The SeaPlex - an area that offers various sports and game activities such as ice-skating, bumper cars, video game center, soccer and more. Skydiving - Yes, now you can try a skydiving simulator at sea! Bionic Bartender - Watch as robots mix and serve drinks at sea. Internet Connectivity - Whether you want to download a movie, a song, or keep up with social media, you can now do that on incredible amount of bandwidth at sea. These are just some of the amazing features found on the world's first smart ship. 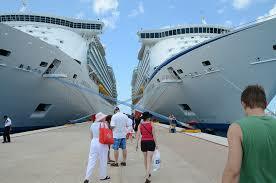 Book Royal Caribbean cruises for many fun Caribbean itineraries. 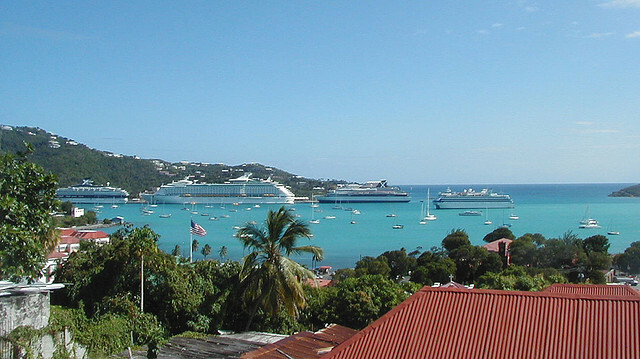 Royal offers cruise packages to several hot Caribbean destinations. You can choose cruise vacation packages to the Bahamas, the Eastern Caribbean, the Western Caribbean and even the Southern Caribbean to places such as Barbados and Aruba. What's even more delightful to cruise lovers is that you can catch a Royal Caribbean ship in several U.S. homeports. There are so many U.S. home-ports offering Royal Caribbean cruises, that you may be able to drive to one and save on airfare. Are you as excited about the list as I am? You should be. It will not be difficult to find the perfect Royal Caribbean cruise package for your family. Now that you are ready to book, let me tell you how. First, you can use the search box below to look for and book your Royal Caribbean cruise package. Second, you can visit my online travel site, PetesTravel.com and book it there. Third, you may click here to book it at Royal Caribbean's website. There are two things that I must tell you about Royal. These are not major items, but I prefer to be open with my readers. 1. Royal Caribbean's cruises cost a little more than others. When compared with other popular Caribbean cruise lines such as Carnival, Norwegian and Princess Cruises, you will often be asked to pay more when you book a Royal Caribbean cruise. This is perfectly fine, because what you get in your cruise package is worth every penny. 2. Royal's cabin sizes are smaller than Carnival's. I mentioned before that Carnival is the most popular cruise line. One other thing about them is that they have some of the biggest staterooms at sea. Your Royal cabin will be smaller than one on Carnival, but it will be just fine. Plus, you will spend most time outside the cabin enjoying the beautiful ship. I have told you why to book Royal Caribbean cruises. You are now armed with enough information. The only thing that is left is for you to experience a Royal cruise.